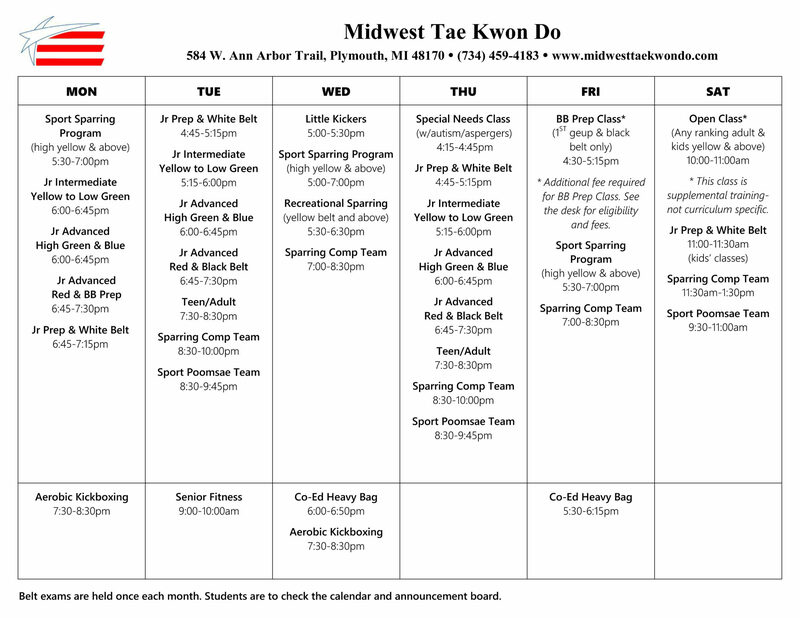 Class Schedule | Midwest Taekwondo | For Sport. For Health. For Life. Please note that a Kicksite announcement will be distributed during inclement weather for active students to let you know if the dojang is closed. Midwest TKD will rarely close for poor weather so if you do not receive this message you can assume the dojang is open. We do plan to be open for scheduled school breaks and vacations. For more detailed information, please check the monthly calendar or the newsletter or call us at (734) 459-4183. Spring Special TKD - Sign Up Here!